You’ll find the symbols of Chile throughout the country. It is important to understand what they are so you can both appreciate the meaning and speak intelligently about them. The Andean Condor is one of the symbols of Chile that is prominently displayed on Chile’s coat of arms and on the 100 Chilean peso coin. The Andean Condor lives only along the western edge of South America and flies majestically with a massive wingspan reaching up to 10 feet (3 meters). The Huemul, also known as a South Andean Deer, is an endangered species native to extreme southern Chile and Argentina. The Huemul joins the Andean Condor on Chile’s coat of arms. The Chilean flag is also rich in symbolism. The red on the Chilean flag represents the blood spilled in its fight for independence. The white represents the snow-covered Andes that guard the eastern border of Chile. The blue is for the color of the sky. The star represents the governmental powers as they watch over the country. 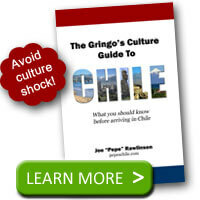 Chile celebrates the fiestas patrias in September. During this time, you’ll see symbols of Chile all over the place. Everything is decorated in red, white, and blue. Flags hang from every corner. People enjoy Chile’s national dance, la cueca. 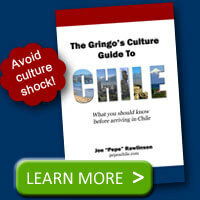 Men and women will also dress up in traditional Chilean clothing. Look for men dancing la cueca in classic Chilean huaso attire with a Chilean cowboy hat, shirt, flannel poncho, riding pants, short jacket, riding boots, and spurs. Look for the symbols of Chile while you are in the country. You’ll be surprised to see just how commonplace they are in popular culture.